1984 Olympic Gold Medalist at The Eddie Fyvie Jiu-Jitsu Academy for a clinic! At The Eddie Fyvie Jiu-Jitsu Academy in Malta, NY, we understand ALL of the benefits Jiu-Jitsu (BJJ) has for an individual. 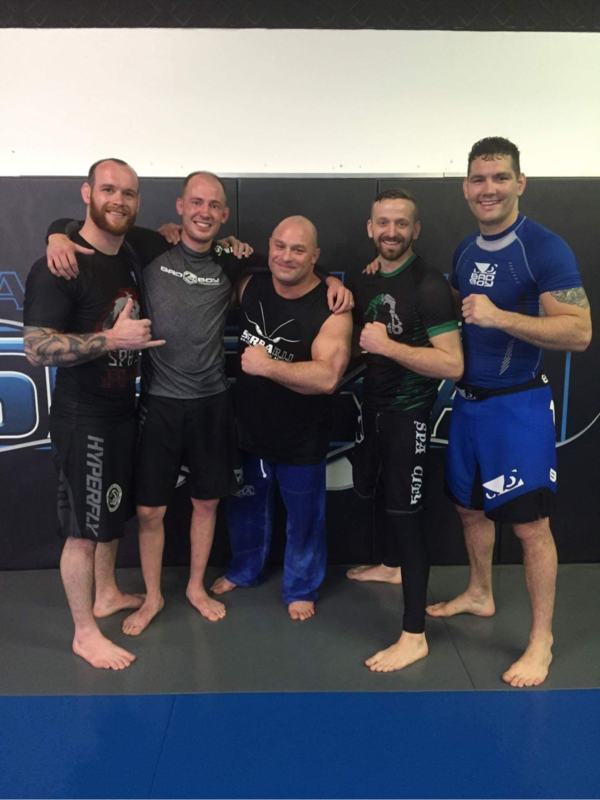 With our instructor staff also having a love and background in Wrestling, it is in our blood along with Brazilian Jiu-Jitsu. Frankly, no other workout that you will ever have after your wrestling career will be what you need. Also, wrestling becomes heavily taxing on your body in later years. 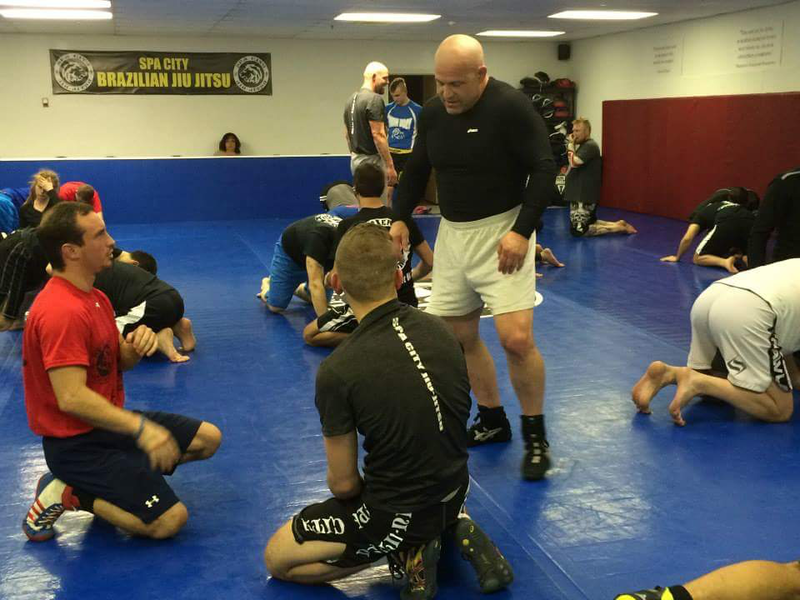 Professor Eddie Fyvie instructing a class at Matt Serra's gym in Long Island. Former Hofstra Wrestler & UFC champ Chris Weidman attended! After a lifetime on the mats, you develop a sense of being that is only complete when the wrestling "fix" is given! Because of this empty void, we have seen countless indivudals, become overweight, bored with life, and depressed. YOU NEED GRAPPLING. Similar camaraderie of hardworking individuals. We also work closely with Journeymen Wrestling and regularly sponsor their events, as well as teaming up to host legends of wrestling and MMA. ​We can provide the next phase of training and competition you need. Try it FREE NOW!